On July 3, 2012 Groundswell completed an agricultural conservation easement on Fountain Prairie Farm, owned by John and Dorothy Priske. The Priskes raise Scottish Highland cattle on their 277-acre grass based farm and direct market their meats to customers through farmers’ markets and local restaurants. 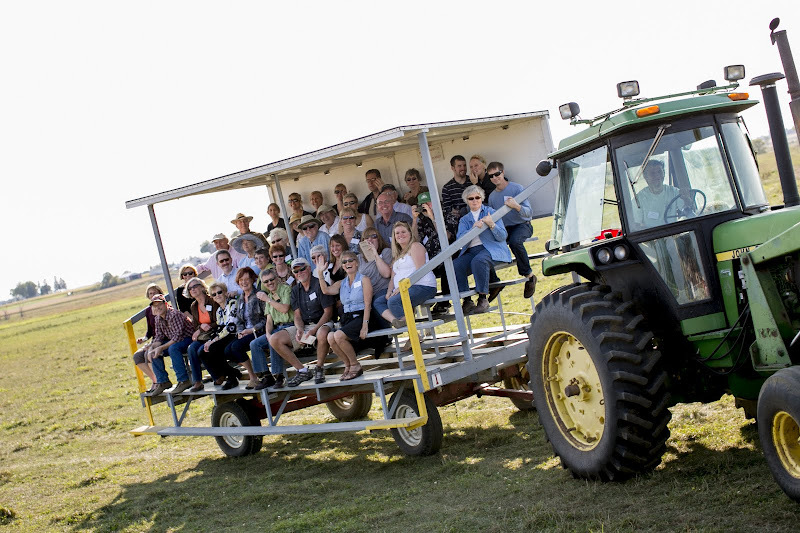 The large and diverse farm just west of Columbus in Columbia County contains high-quality rotationally-grazed pastures, a restored prairie and wetland, and a stretch of Babcock Creek, a tributary to the Crawfish River. Permanent protection of the farm helps meet the goals of the DNR’s Glacial Habitat Restoration Area by protecting grassland and wetland habitat in a mosaic of conventional corn and soybean farms for the benefit of waterfowl, pheasants, and songbirds. The Priskes have a commitment to sustainability and have won several awards for their farming practices, including the Conservation Farmer of the Year award in 2010, given by the Wisconsin Land and Water Conservation Association, and a Leopold Restoration Award in 2011, given by the University of Wisconsin Arboretum. 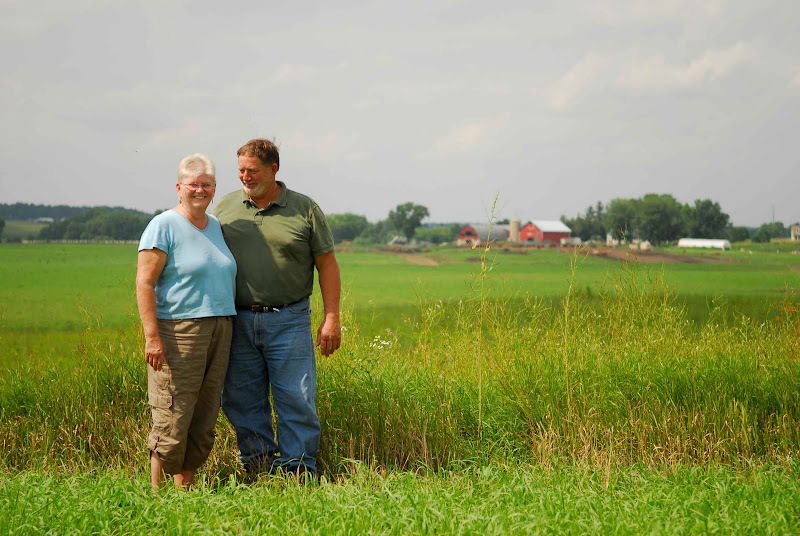 By restoring wetlands, controlling runoff from the farm, leaving some pastures ungrazed to benefit nesting grassland birds, and installing a 50 kilowatt wind turbine that powers the entire farm, the Priskes have demonstrated their strong land ethic. When the Priskes bought the farm in 1986, it was a conventional corn and soybean operation. After several years of operation, things began to change for them. The death of two of their dogs from cancer, declining numbers of songbirds on the farm, and the rapid rate of soil erosion alarmed John and Dorothy. They felt there had to be another way to farm – and that’s when John discovered Aldo Leopold. After reading Leopold’s “The Farmer as a Conservationist,” John and Dorothy realized that the industrial style of agriculture that had become the norm was not the only way to farm. They knew there was a way that could nourish the land and the farmer. A trip to New Zealand, where they saw sheep being raised on rotationally grazed pastures helped solidify their ideas. Back home, the conversion of their farm to grass started in earnest. Some 14 years later, the Priskes haven’t looked back. Each new conservation practice they incorporate on the farm leads them to another. 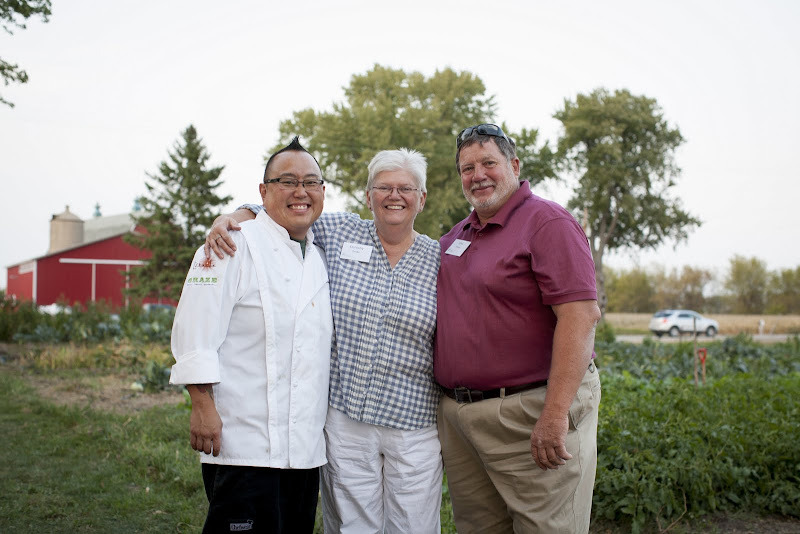 Continuous improvement in the health of their land is a passion for the couple. Placing a conservation easement on the farm to protect it in perpetuity was a logical step. “We wanted to be proactive and take responsibility for this land,” John says. “The conservation easement allowed us to make a permanent decision to preserve the land that we’ve been stewards of for so many years. 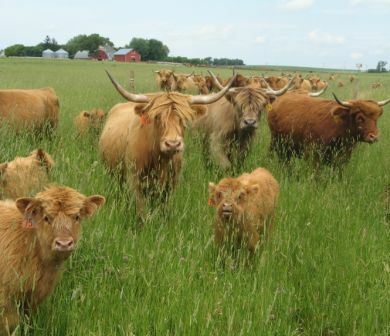 Funding for this conservation easement purchase came from the USDA Farm and Ranch Lands Protection Program, Wisconsin Department of Agriculture, Trade, and Consumer Protection Purchase of Agricultural Conservation Easements program, The Conservation Fund, and the members of Groundswell. To celebrate the completion of the conservation easement, the Priskes and Groundswell hosted a special dinner on the farm prepared by Chef Tory Miller of L’Etoile and Graze restaurants on Sunday, September 16, 2012.